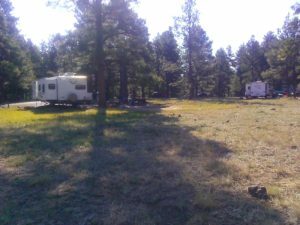 Pine Grove campground is tucked away in guess what? 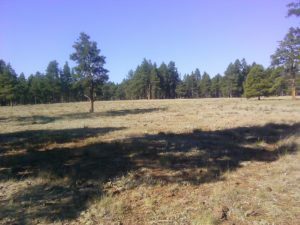 … a pine grove, located about a 30 minute drive from Flagstaff and only 15 minutes from Lake Mary. 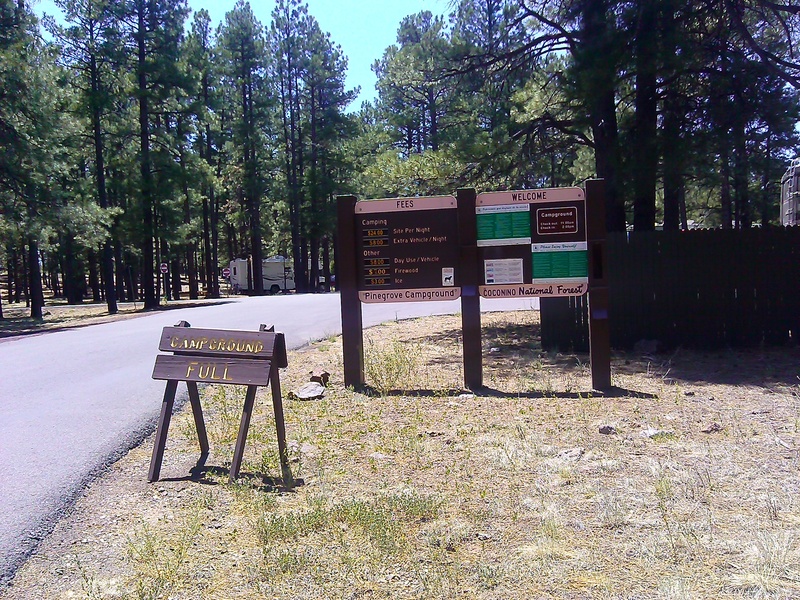 The drive from I 17 is gorgeous with either tall pines on either side or the Lake on one side and the forest on the other. Pine Grove offers 46 sites of which 25 may be reserved online and the remainder are first come-first served. Some sites are pull through and some are back in. To us, that makes no difference since we’re in a tent. It can be rather amusing watching the big rigs back in. Why it’s always the woman who directs and the man who drives I don’t know. Each couple seems to have their own set of hand signals for direction. However, I never did figure out what the gesture of one hand over the mouth while the other hand waves frantically up and down meant. Stop? Hit the parking brake? Don’t Panic? 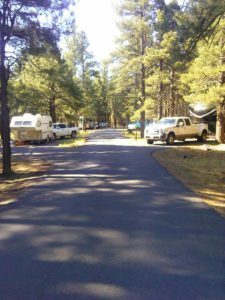 Each site includes an asphalt paved parking spot large enough for most RVs and we saw some gargantuan ones. A picnic table, grill and fire pit are situated on either a cement slab or gravel. The tent pads are gravel and about 12 X12 feet. Toilets are flush (Yay!) and there are showers, both cleaned on a daily basis. The toilets are checked for toilet paper ad cleanliness several times a day. The grounds are well maintained. Each campsite is inspected and raked before the next camper. The camp hosts Mike and Becky are friendly, welcoming and helpful. When our tent ripped, Mike dug out duct tape for us to use for repairs. He and his wife Becky always had a cheery hello when they drive by in their golf carts. The camp host sells ice and firewood, although there was a ban on fires and charcoal while we were there. Propane stoves were allowed. For those with RVs there is a dump station and water, although there are no hookups at the sites. We were there for the week before and after July 4th. Campers are a mix of retirees, couples, and families. The camp is quiet nearly all the time. It might just have been our luck, but there were no loud raucous parties going on. Be careful when you pick a site. Some, like ours, face an open meadow with ample space on each side for a bit of privacy. Others are rather close together. I suppose that’s one way to get to know your neighbors. Even during the weekdays the campground had very few vacancies. Get here Sunday through Wednesday for a site, even Thursday is a little risky. At Upper Lake Mary, the Lake Mary General Store sells a little bit of everything and lots of fishing stuff. The store rents canoes and kayaks, Prices are a little high but not too bad. Upper Lake Mary is pretty much a bog. Lower Lake Mary had lots of water with boats and fishing going on. Kids and adults swimming and sun bathing. If I had to sum up Pine Grove Campground in one word it would be peaceful. Note to Self: Drive around the campground a couple of times. Don’t just snag the first available campsite.